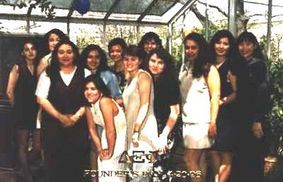 Delta Xi Phi sorority was founded April 20th, 1994 on the University of Illinois at Urbana - Champaign campus, by fifteen young women. These women recognized a need for an organization that appreciated the different cultures present on their college campuses. Multi-cultural awareness, as well as community service, the empowerment of women in higher education, friendship and sisterhood were also important aspects of Delta Xi Phi. 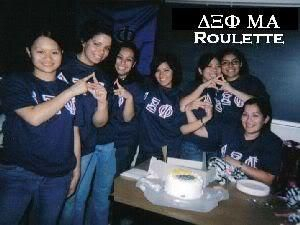 In the last 20 years, Delta Xi Phi has emerged as one of the largest and active multicultural sororities in the nation. We have steadfastly held to our Five Pillars while expanding to 15 states from coast to coast. Mu Associate Chapter was founded on June 5, 2004 at the University of California Davis, by 7 women who wanted an organization that could spread multicultural awareness as well has create a sisterhood that represented them. The sisters continue to strive for Multiculturalism,the Advancement of Women Through Higher Education, Community Service, Sisterhood and Friendship.